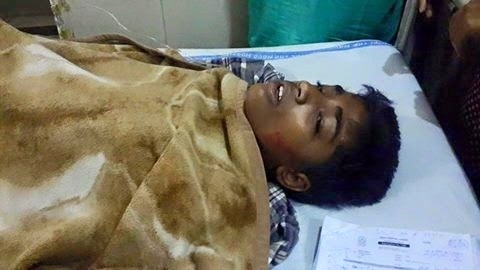 We are informing you with very broken and heavy hearts that the 14 year old Christian boy Noman Masih, who was burnt for his Christian faith in Sharakot, Lahore on April 9, 2015, has died in the Mayo hospital after struggling with his critical situation from the last couple of days. May his soul rest in eternal peace. Noman's funeral service is taking place today (April 15, 2015) in Lahore. International Christian Voice strongly condemns the killing of this innocent and poor boy and asks again the government of Pakistan to arrest the culprits and bring them to justice. We request all you to pray for Christians and other religious minorities of Pakistan who are continually going through severe persecution and injustices. We also ask you to pray for Pakistan, that God Almighty bring in leaders who are able to protect the citizens of Pakistan and create a country where everybody can live in harmony and without fear.